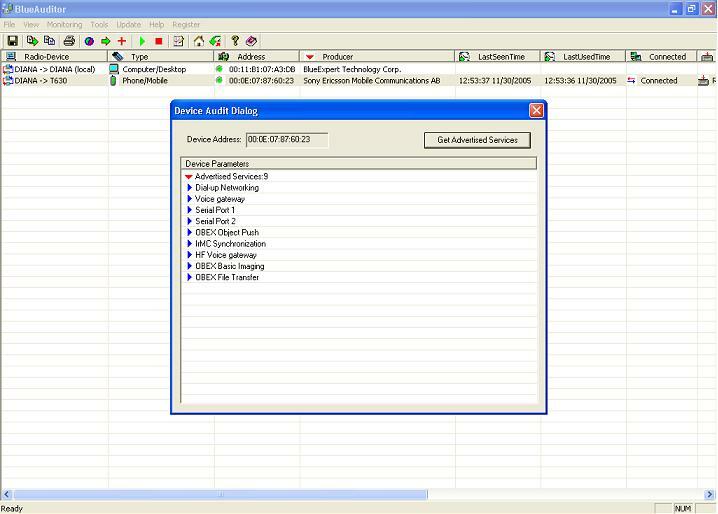 about each devicebeing detected as well as the services device provided. against security vulnerabilities associated with the use of Bluetooth devices. Download BlueAuditor | Order BlueAuditor Now!